NEW TECHNOLOGY ALERT FOR INDEPENDENT ARTISTS! Biltmore Records is working with a new company that produces flash crystals that will allow you to quickly share new music, video, or any website that is promoting your product. Think of how convenient this would be to share your website, InstaGram, Facebook, Datpiff, Reverbnation or YouTube pages (etc.). This short video shows how it works.Flash Crystals We have some that have been made for our artist HUGO DA CAPO. Check out the video that explains how it works and stay tuned for the details about how you can order yours! This entry was posted in Blog, Technology on September 10, 2013 by admin. For over 10 Years DJ Selector E (aka Eric Brayman) has been supporting Charlottes HIP-HOP scene with a monthly event that showcases the cities most talented MC’s. The collective is known as QC HIP-HOP where the likes of Keyza Soulsay, Ike Turner and even internationally known HIP-HOP artist Superstition have performed live for their home town. Charlotte is still divided between HIP-HOP and Mainstream, but because this event is based on the culture of HIP-HOP it has stood the test of time. This has been the longest running HIP-HOP event in the QC. 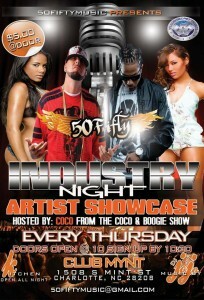 Artist from all over the Carolinas and beyond have traveled here to showcase their talent, and network with the most lyrically gifted artists in the city. 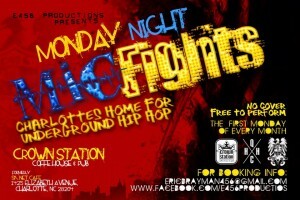 The event is held the first Monday of every Month at Crown Station located at 1425 Elizabeth Avenue Charlotte, NC. Make sure to check out the next event that usually starts around 10PM. The event starts out with a live “Cypher” before the showcase where artist battle, and go for the Juggler in a battle rap competition where the ultimate prize is strictly bragging rights. Biltmore Records had the privlige of working with Selector E and other various artist on The Biltmore Records radio show “Cipher Divine” that broadcasted live on 103.3 FM in 2012. This event should be mentioned in the Hip-Hop history books when it come to the Queen city and North Carolina in general. True supporter of HIP-HOP the culture. 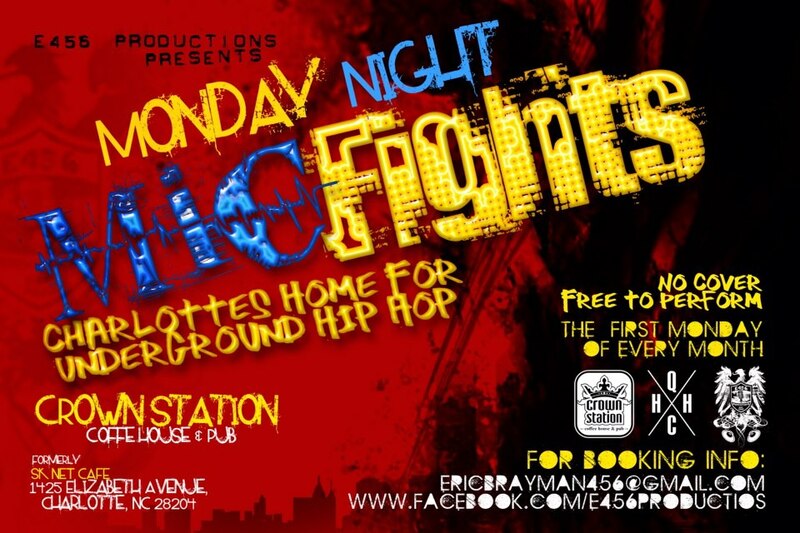 This entry was posted in Blog, Charlotte Nightlife & Entertainment and tagged Charlotte NC, club mynt, crown station, Entertainment, events monday night mic fights, Hip-hop, industry night, Nightlife on September 6, 2013 by admin. 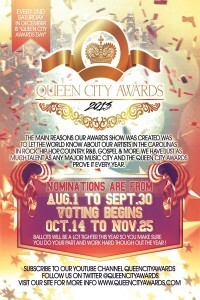 The Queen City Awards is an award show in Charlotte, NC. 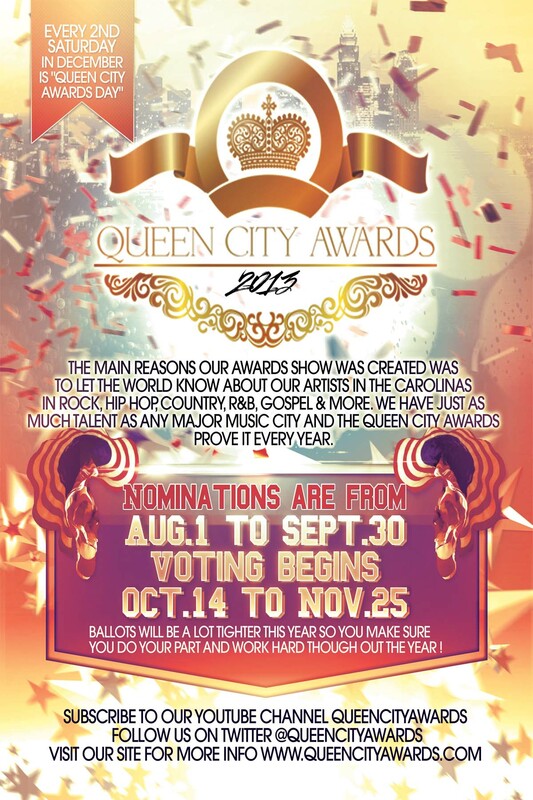 It is the first Awards show in the Carolina’s for Independent artists, established in 2007. I was able to attend the event in 2011 at the Grady Cole Center where artists from all music genres (Rock Country, Hip-Hop R &B etc.) performed live, were nominated and recognized in their respective categories. 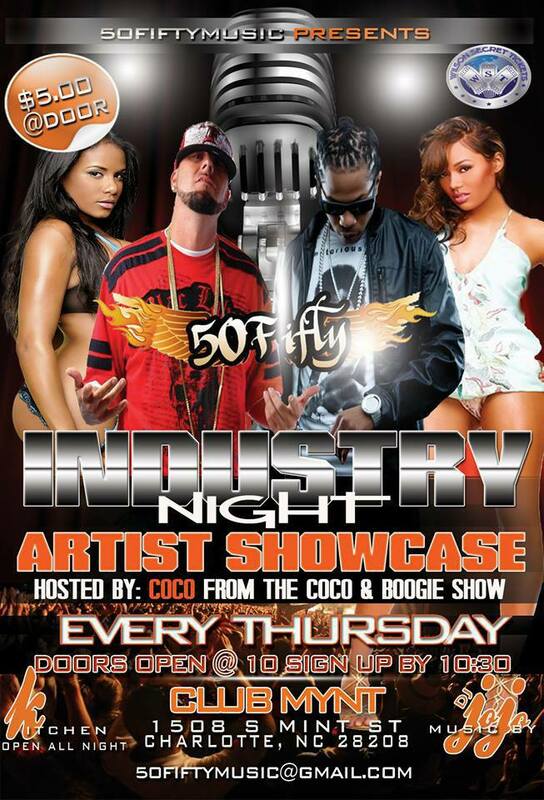 This entry was posted in Blog and tagged Charlotte NC, club mynt, crown station, Entertainment, events monday night mic fights, Hip-hop, industry night, Nightlife, QC AWARDS on September 6, 2013 by admin. The event gives local talent (not limited to any genre) the opportunity to showcase their talent to an audience of at least 200-250 weekly supporters. The majority of the artist have been Hip-Hop, R& B artists, but organizers are adamant about the event being open to all musical genres and talent. From our perspective it is a great service that they are doing for the city by supporting the up and coming artists in the community and helping to bring local music to the forefront.